We have professional team to design the watched display for you, all the jewelry and watches display prop, packaging box can be customized. Welcome to contact us for further details. 1. High quality leather material, comfortable touch feeling, fashion look. 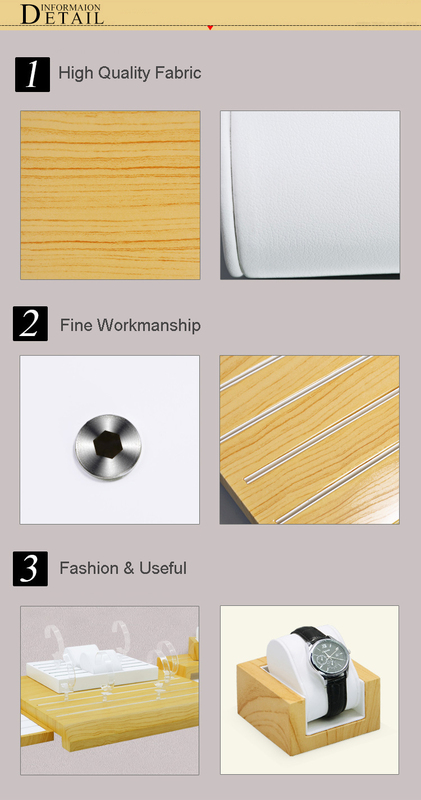 Exquisite processing, yellow wood grain with spray lacquer. 2. Fine workmanship, slot made by metal, good touch feeling. Process of slot is finished with high polishing. 3. Fashion and useful, wood grain with white color, suitable for display all kinds of watches. 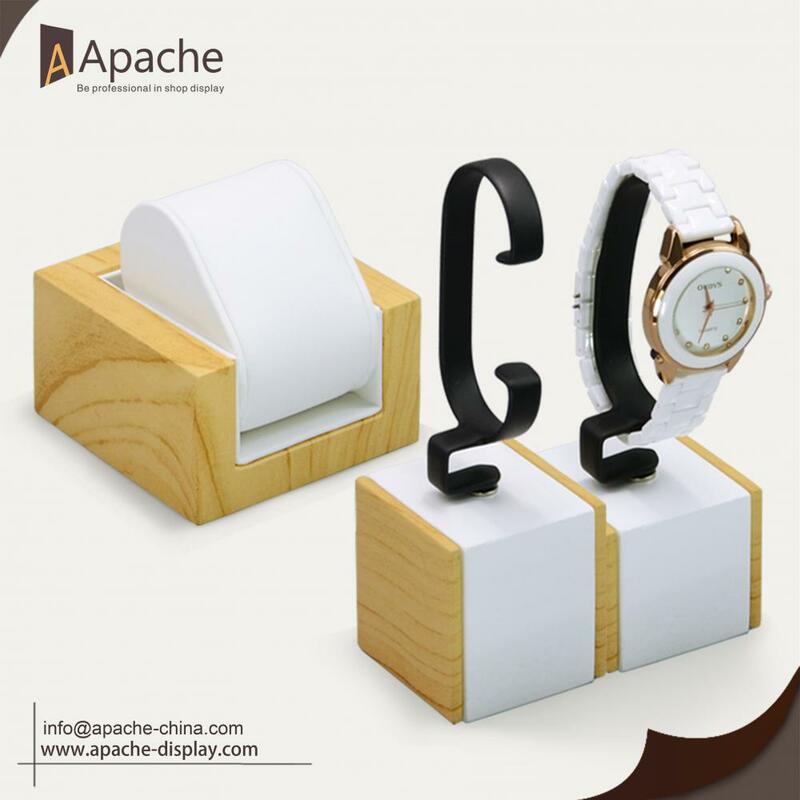 This Wood Grain Watches Counter Display Base can be used in company display showcase, shopping mall counter, watches shop, family display, etc. There are 5 combination options for you to choose. Welcome to contact us to get more information. A: We have our own factory,and also have good cooperation with other factory.That's why we are good at making various material display. Q: How can I get the sample? What's the lead time? A: By DHL/UPS/Fedex express. Samples lead time is 7-14 days. Q: How does your factory control product quality? A: ISO9001 Certificated, independent quality control team with 16 inspectors in our factory. Thrid party certificated and factory audit accepted. Third party quality control accepted. Q: Do you provide ODM/OEM service? A: OEM/ODM is welcome, From the concept to finished goods, we have our own desighner, do all (design, prototype reviewing, tooling and production) in the factory. 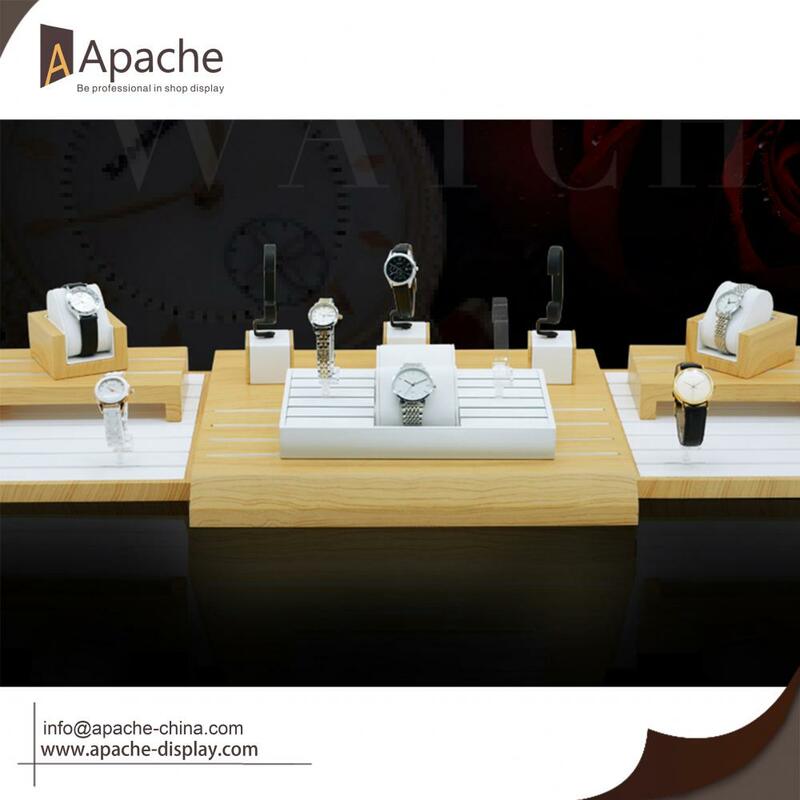 Looking for ideal Watches Counter Display Base Manufacturer & supplier ? We have a wide selection at great prices to help you get creative. 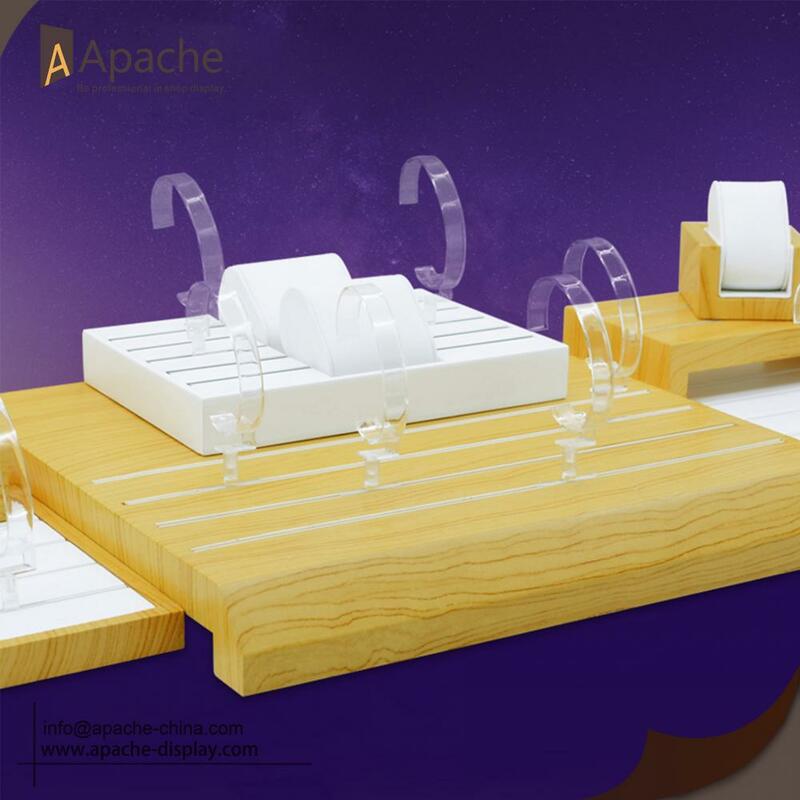 All the Wooden Watches Display Base are quality guaranteed. We are China Origin Factory of Watches Counter Table Display. If you have any question, please feel free to contact us.